・ Gray, Russell D. and Quentin D. Atkinson. 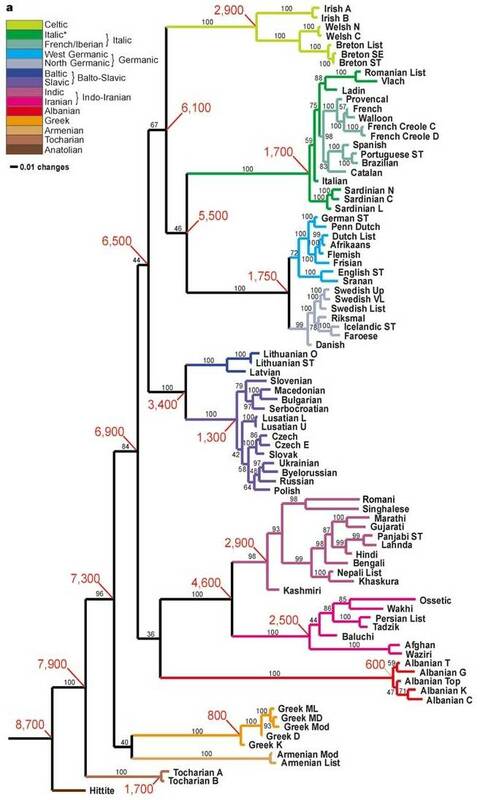 "Language-Tree Divergence Times Support the Anatolian Theory of Indo-European Origin." Nature 426 (November 2003): 435--39.